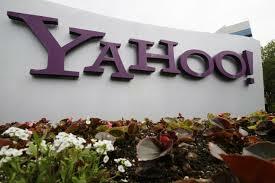 Yahoo Inc said it appointed veteran technology executive and Silicon Valley investor Maynard Webb as chairman, replacing Fred Amoroso at the company, which is struggling to jumpstart its advertising business. Webb, who has served as interim chairman since April and is a former eBay Inc chief operating officer, has been a director at Yahoo since February 2012. Yahoo, once one of the Web’s most successful companies, has seen its revenue stall in recent years as consumers and advertisers favor rivals such as Google Inc and Facebook Inc.
Chief Executive Marissa Mayer, a former Google executive, is about a year into a plan to try to bring viewers and users – and the revenue growth they represent – back to Yahoo. “Maynard Webb’s leadership and guidance have been an invaluable part of our board since he joined it in 2012,” Yahoo said in a statement on Friday.